There has been so much good press recently about the importance of looking after the planet, whether that be by cutting back your plastic intake by using none-disposable bottle or paper straws (a big one for me! ), as well as reusing shopping bags. Peoples focus on planet love has also made them more aware of ethical brands for makeup and skincare. 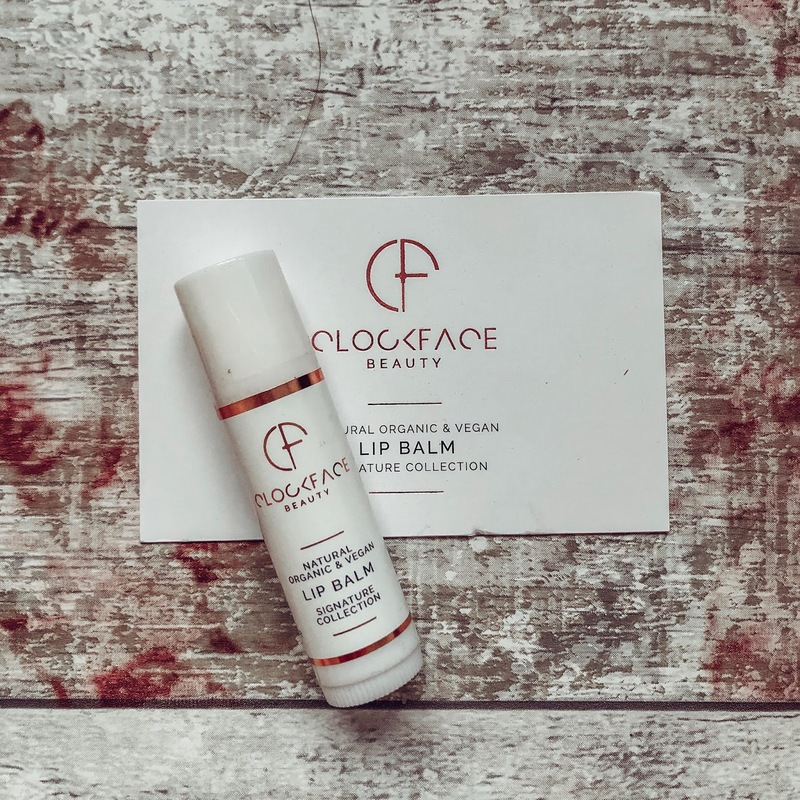 I was lucky enough to start my own journey with ethical skincare brands by being introduced to Clockface Beauty. ClockfaceBeauty are an organic, vegan, and cruelty free skincare beauty brand, based in York. Everything is 100% naturally created, and all made locally in Yorkshire, which is lovely as the products are made where I live. Could you get anything more lovely? They “…take the best that nature produces – vitamins and nutrients, antioxidants, and anti-ageing properties – and formulate treatments that are kind to your skin, and kind to our world. All because you deserve to be the very best version of you, naturally.” Don’t you think that this is such a lovely statement to hold, a true vision for the planet. They were very kind and gifted me a couple of products, I chose their 'Women’s Facial Gift Set', RRP £58 and they also threw in the 'Facial Serum' RRP £44, how nice are they!*. I have their Signature Facial Serum, Signature Collection Lip Balm, Clary Sage & JuniperBerry Face Scrub and, the Clay & Rosewood Face Mask to review. These items can also be purchased individually! Their products came in a beautiful and luxurious box with product cards telling you how to use each product separately. 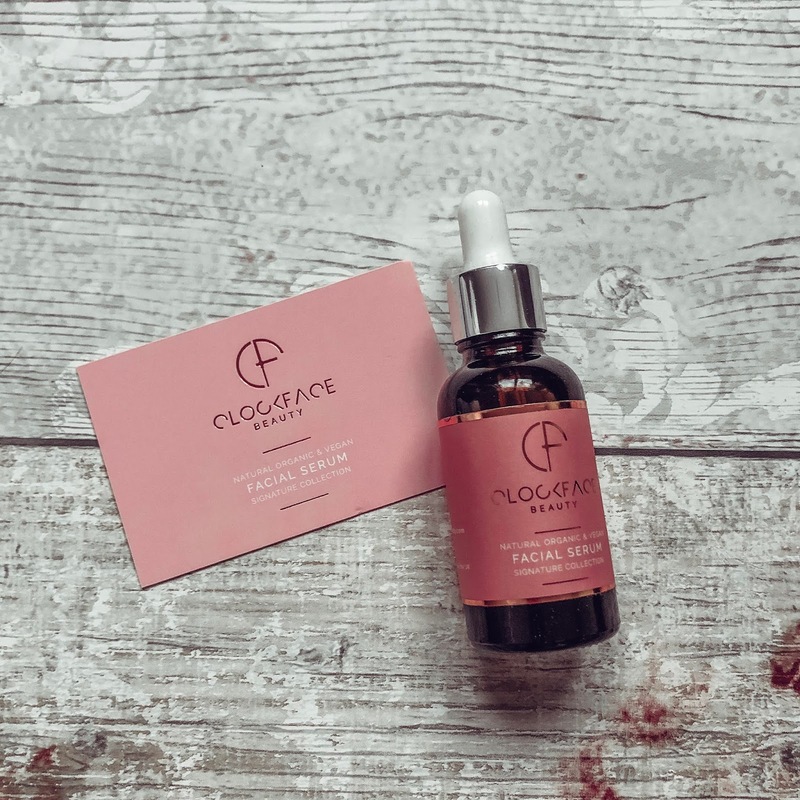 The Signature Facial Serum comes in a stunning pink glass bottle with attached dropper making application simple. The serum aims to give skin a youthful and healthy glow, and is suitable for all skin types and ages. It contains nine essential oils, Vitamin E, jojoba, avocado, grapeseed and argan oil. It actually feels really fresh and lightweight despite being an oil, and I have introduced this to my skincare routine, morning and night, before my moisturiser. It feels so natural on my skin and stops any dryness in the winter months! The Signature Collection Lip Balm draws on the power of nature to keep lips at their most beautiful designed for both men and women. The balm combines scents of shea butter, rosemary, myrrh and frankincense for lips that feel and taste amazing. The balm is gently formulated to be kind to all skin type and being rich in all-natural vitamins, nutrients and antioxidants to heal, soothe and protect. I love wearing this over lipstick to give a nice sheen to any lip colour. I also wear before bed to reduce chance of lip chafing. 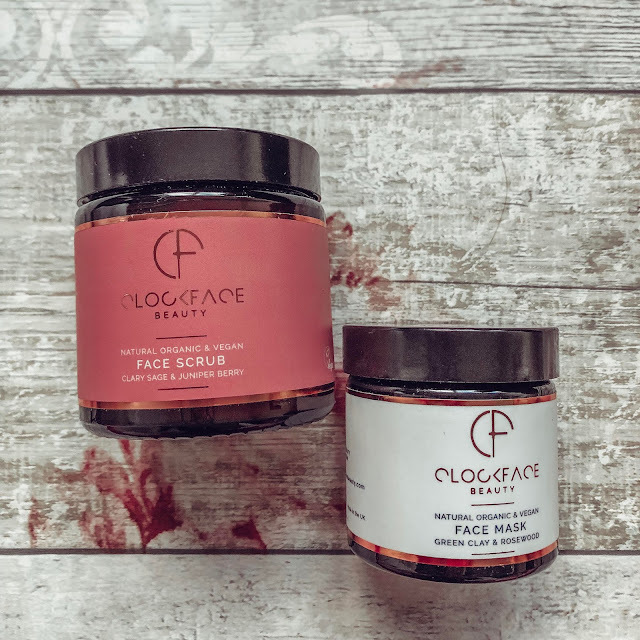 The scrub combines a blend of Himalayan pink salt, jojoba beads, avocado and mango butter, candelilla wax alongside other all-natural ingredients, fortified with natural vitamin E. This combination are concentrated in this relaxing, healing and moisturising face scrub. The scrub cleanses deep within the pores, our face scrub applies a host of vitamin-enriched nutrients to help firm up, tone up and brighten up skin. You just gently massage the scub into your face after washing and it acts as a gentle revitaliser, reawakening your face’s natural lustre while working hard to clear dead skin cells and excess oil, and deliver anti-ageing antioxidants that leave the skin with a hydrated, moisturised, healthy and youthful glow. I have never ever came across a face scrub that works as well as this, It got rid of all my dead skin and black heads and I will forever stand by this product! This mask is a must! The all-natural ingredients in this mask deliver scientifically proven healing benefits, promoting the repair and regeneration of skin cells, and reducing scars, blemishes and the signs of ageing. I apply the mask for up to ten minutes each time and the clay gently cleanses and exfoliates, pulling impurities from the pores and absorbing excess oils, while the mask works to refresh, rejuvenate and balance the skin’s levels of hydration, tone and suppleness. I found this mask really helped to re-texturise my skin and regulate my oil production. It has such a gorgeous, unique texture with the clay being light and velvety smooth! My skin looked refined and felt softer after each use. ARE THE PRODUCTS WORTH INVESTING IN? Now, I believe skin care is worth spending money on, they say if you have good skin then you don’t need to spend as much money on makeup. The Clockface Beauty products do not come with a small price tag as you may have seen in this post, but there’s clearly a reason behind why. These products are luxurious, and all natural and kind to the skin, and in my opinion really worth the extra pounds. I love that this company is based in York as I now live here, and the ethos behind it is so kind and comes from a such a good place. The brand put so much attention to the ingredients they source, the packaging, and the instruction cards. I’ll definitely be repurchasing when these products run out! 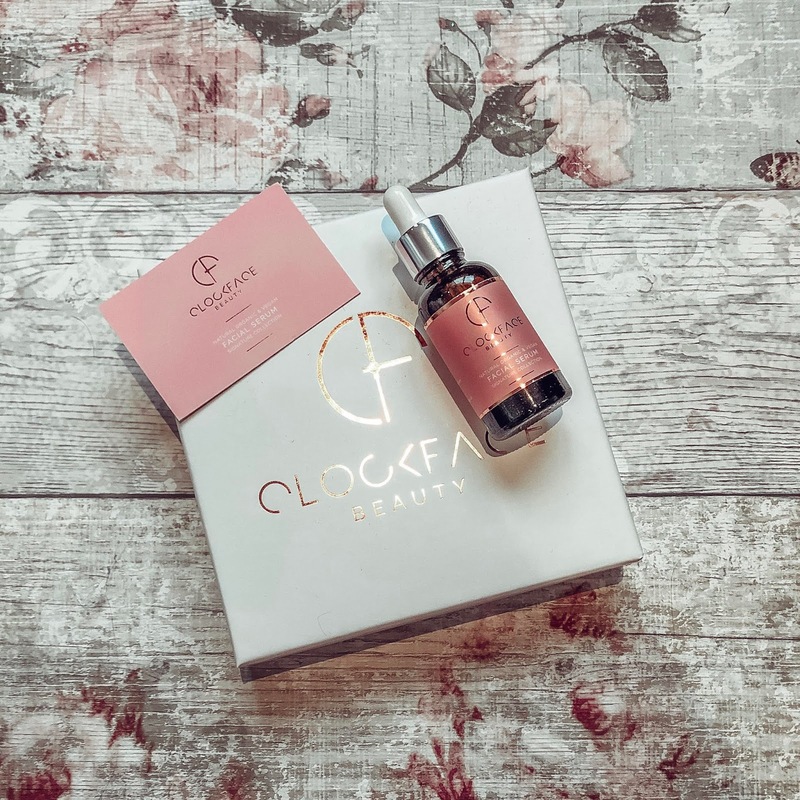 Has anyone else tried Clockface, or have any all natural skincare favourites? I’d love to hear all about it. *The products where kindly gifted to me however all opinions are my own.